...Say that five times fast! Our latest limited-edition yarn series is dyed by Megan-Anne and Jacqueline from Lattes & Llamas! 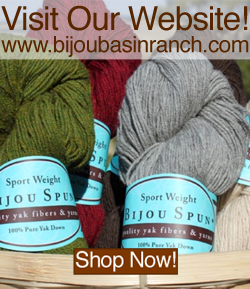 Choose from 7 extra-special colorways hand-dyed on our yak and bamboo blend, Lhasa Wilderness. 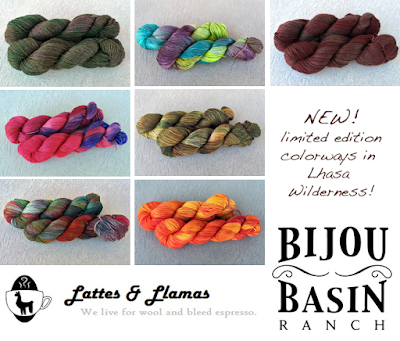 These gorgeous colorways will make their debut in the Bijou Basin Ranch booth at the Oregon Flock & Fiber Festival (OFFF) this weekend. 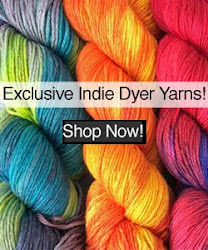 For our fans at home, we are currently accepting preorders in our online store, so be sure to reserve your skeins before they're gone! Preorders will ship on October 1; click here to shop now in our online store! Marly Bird's Make it Mine shawl is a free knitting pattern using several colors of Lhasa Wilderness yarn. Get creative and mix in some of our Outlandish colorways for a truly unique accessory! 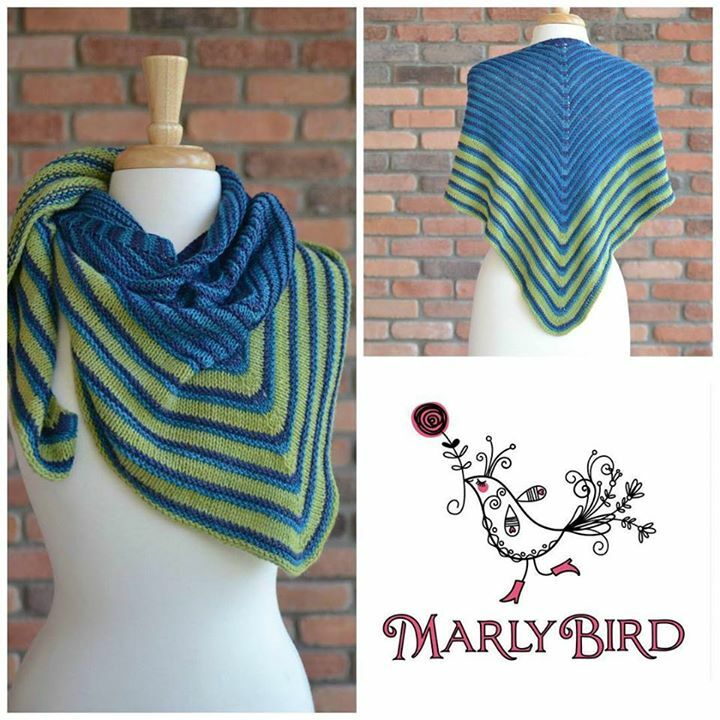 The Dancing Waters Shawl by KaRi Wymer is crocheted with two contrasting colorways of Lhasa Wilderness yarn. Faina Goberstein's Nebo pullover is the perfect fall sweater project using our Lhasa Wilderness yarn. This pattern appears in the brand-new book, The Art of Slip-Stitch Knitting! All the Yak You Can Handle!